Figure flattering ensemble will present your curves beautifully throughout your special night. 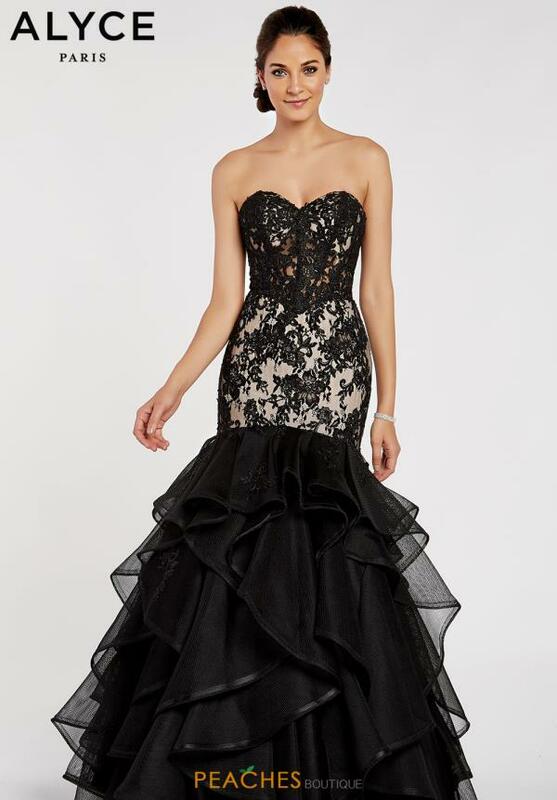 Mermaid style by Alyce Paris 60406 showcases a fitted bodice with a classic sweetheart neckline that will either create or enhance the illusion of curves. Intricate lace detailing adorns the bodice and then transitions into dramatic ruffles. Shop for more show-stopping styles by Alyce Paris at Peaches Boutique in Chicago.